When he was seventeen years old, Audie Murphy falsified his birth records so he could enlist in the Army and help defeat the Nazis. When he was nineteen, he single-handedly turned back the German Army at the Battle of Colmar Pocket by climbing on top of a tank with a machine gun, a moment immortalized in the classic film To Hell and Back, starring Audie himself. 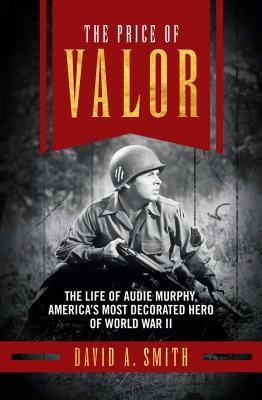 In the first biography covering his entire lifeincluding his severe PTSD and his tragic death at age 45the unusual story of Audie Murphy, the most decorated hero of WWII, is brought to life for a new generation. David A. Smith is a senior lecturer in American history at Baylor University in Waco, Texas. He received his undergraduate degree from what is now Texas State University in San Marcos and his Ph.D. in modern American history from the University of Missouri. He lives in Woodway, TX, with his wife and children.